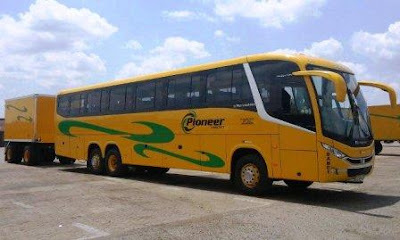 Pioneer Coaches is a customer oriented Zimbabwean passenger transport operator committed to the provision of safe reliable transport services to its markets. They achieve this through ongoing investments in their fleet, first class maintenance and back up service facilities and resources that are dynamic and fully qualified to achieve growth and supply quality service. As a member of Pioneer Corporation Africa, Pioneer Coaches seek to become an invaluable partner to the community it serves. 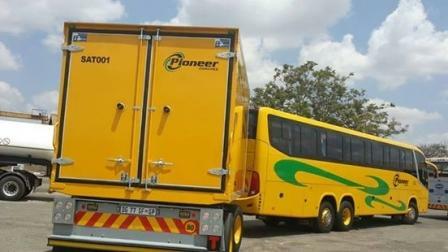 Pioneer Coaches started operating in Zimbabwe over 15 years ago and they have earned themselves a reputation for being a friendly, professional, customized, passenger transport service provider. They deliver a seamless service with a smile in the widest range of travel products. What makes Pioneer Coaches outstanding are without doubt, its people. 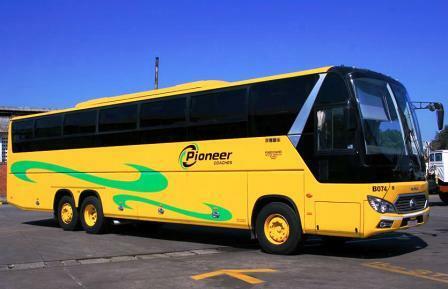 Pioneer Coaches staffs are highly professional and trained in good customer relations to offer an efficient and reliable service. 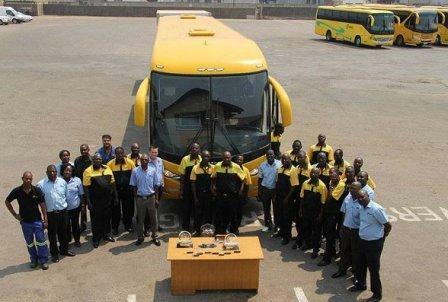 Their fleet is mainly comprised of the Yutong Coaches and Scania range of Irizar, Marcopolo and Torino coaches which have a back up service guarantee from Unifreight Engineering within Zimbabwe and South Africa. Their coaches are full of entertainment and you will enjoy on board Television services with a good music from their sound system. 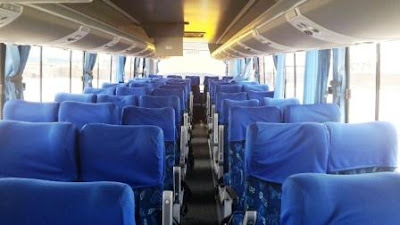 They have fitted an USB charging system on their fleet to give you access to charge your smartphone to enjoy a free WiFi services all the way long with South Africa and Zimbabwe. Their coaches have 2 by 3 seating arrangement while few of them have 2 by 2 seating arrangements. Reclining seats are available on 2 by 2 seaters with enough legs room. Offering the most competitive rates and great value for money, for a variety of tours, Pioneer Coaches has transport solutions for everyone, be it for corporate clients tours & staff transport, funeral travel, school tours, sporting trips, individual travelers, families or groups of any size within Zimbabwe and across the borders. Thought they have based on Passengers transport services within Zimbabwe and South Africa with a cross boarder transport services, They also have a Courier services within and between those two countries.